First of all, it is terribly hard to believe that it is already 2018 and I'm now looking back at 2017. How does that happen? 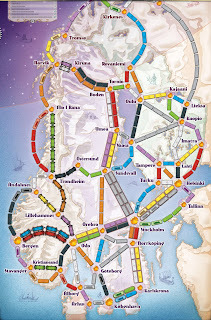 Well, using the way back machine that is Friendless' stats (monthly timeline), I find that I had only a single new game to me a year ago - Ticket to Ride: Nordic Countries. I have not ever played this at the table. After this was originally released, I did manage to snag an actual copy from overseas (a friend was in Norway IIRC). That copy was eventually traded or sold before being played. No, it wasn't until the online version released this expansions that I got to try it out. So what do you need to know about this particular expansion? First, the boxed version is technically not an expansion map and thus not part of the official "map collection". No, this is a special stand alone version that is designed for 2-3 players. Unfortunately that means you can't use it as a base set to the official maps (except for maybe Switzerland for 2-3 players). The train colors are black, white and purple, which is different and cool, but not important. The game map is an interesting mix of tunnel routes, a few ferry routes, a super long route (worth 27 points), and lots of choke points - this is a map designed for conflicts. Like the Switzerland map, wild cards are not quite so wild. The locomotives can only be used for tunnels or ferries (or the mega route - more on that in a second). Because of this, you can draw the wilds from the offering without having to suffer the "only one" penalty of the base game. If you haven't played Switzerland before, you will soon realize that wilds are great for the tunnels, but not being able to use them on the rest of the map is a pain in the booty. The mega long route has a special feature - you can use 4 cards of any color (or 4 wilds) towards one of the links in the chain. So yeah, 9 of one color is hard to get, but 7 + 4 + 4 is a little more reasonable to achieve - especially since digging for cards is pretty common. So is this a fun map? It is! It does stand the test of time (at least as an add on to the online/app version of the game. Either head-to-head or with three players, this is a rough, but fun little map. It is plenty easy to get cut off from your routes which adds a nice bit of press-your-luck play against the other player(s). 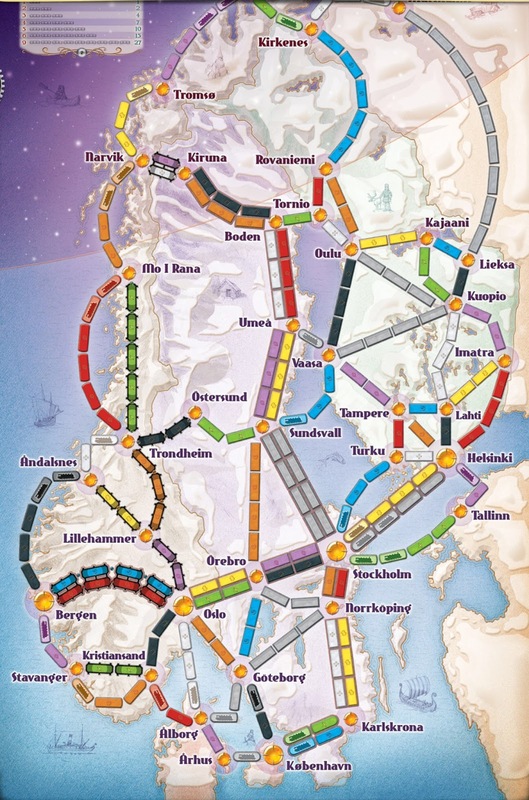 Like nearly every map I've played of Ticket to Ride, the map gets better and better the more you play it and the more familiar you are with the possible ticket combinations. This isn't a map with a lot of longer routes to claim, so you really have to beat the other player with finished tickets if you want to outscore them. 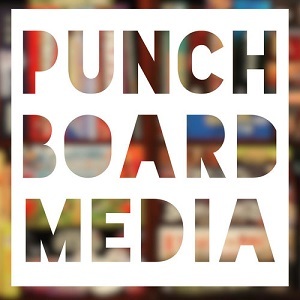 Would I recommend this for folks that only play on the tabletop? Yes, but if you already have the original or Europe, I think I'd lean towards the Switzerland / India expansion (#2 map collection) first. Both have a similar flavor, but the #2 map collection set offers you a second (also excellent) map. If you already have the map and are looking for another good low player count map, you can't go wrong with this one.